Have your guests Save the Date in style. VIP response card measures 3.5x5. 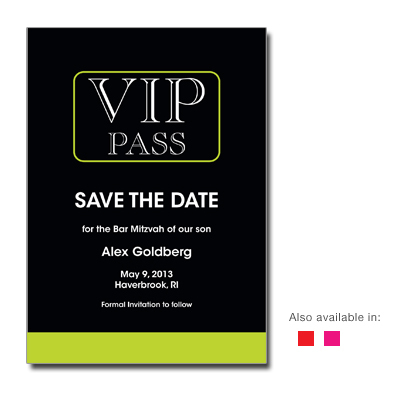 Also available: matching VIP invitation.